A financial plan provides a concise and quantitative framework to help you achieve financial security. GHP Investment Advisors, Inc. (GHPIA) was founded on the premise that financial planning, investments, and tax planning should be inextricably linked. Tax efficient investment portfolios are managed according to your custom financial plan. We spend time with you in confidential conversations about financial and nonfinancial issues ranging from your career, assets, and liabilities to family members and personal health concerns. A financial plan provides a concise and quantitative framework to help you achieve financial security. We take the time to carefully explain our strategies to you and educate you thoroughly. Since your life and the financial markets are constantly changing, we revisit and refine your plan on an ongoing basis to guide you on the most appropriate path to your goals. GHPIA provides solutions tailored for our clients, each with different needs. By getting to know you, your financial goals, and objectives, we’ll work together to build a custom plan. Your financial life is no different than a puzzle. 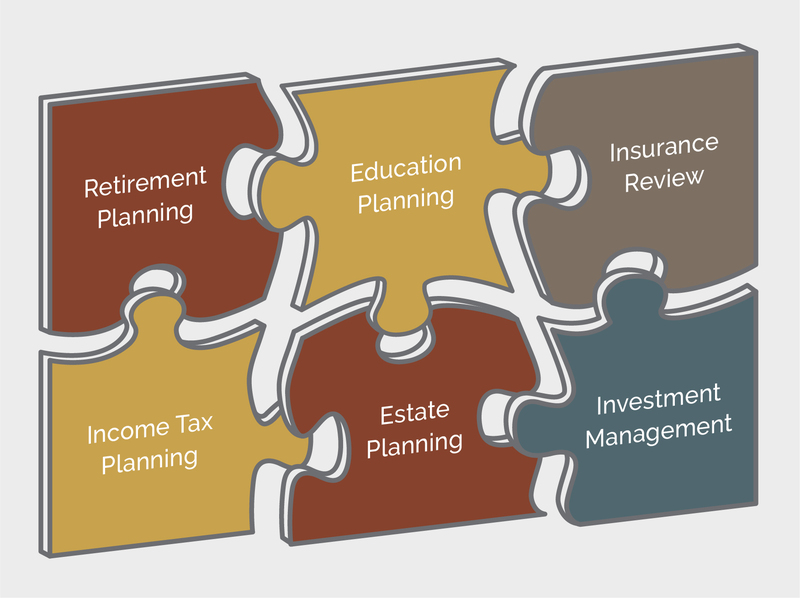 By looking at the big picture, we help you fit together the pieces of your financial life. We work with you to realize realistic wealth accumulation goals and plan for expected or unforeseen events. Since your life and financial needs change over time, we adapt our strategy to changes in your life and in the market. Your relationship with us will start with a candid conversation. Prior to making any recommendations that could impact your financial future, we will get to know you and understand your financial picture and goals. Gain key insights from our trusted and respected wealth managers. Keep up with current market conditions that may impact your financial future. Want to learn more about your wealth?